Are you thinking of selling your house Los Angeles house and you are looking for options? Well, you’re in the right place! Here, we will be going through 3 options you can choose from depending on what suits you. There’s a certain level of uncertainty and difficulty that comes with selling a home in this tough economy. Maybe years ago it used to be a walk in the park, but not anymore. Are you facing a foreclosure? Then there’s a chance you are struggling to find an answer to the question, “who buys houses with cash in Los Angeles?” But guess what? We are about to give you an answer! Let’s start up with the first option on the table, shall we? If you have made up your mind to sell your house and need to find who buys houses with cash in Los Angeles, a local Los Angeles home buying company like Mrs. Property Solutions is your best option. At Mrs. Property Solutions, we buy houses in Los Angeles and other surrounding areas in California, especially if sellers need to sell fast. If selling fast isn’t what you want and you prefer getting the full market retail value on your home, while waiting up to 6 months for it to sell, then maybe this first option isn’t for you. Don’t worry, we have another option you can go for. But, if you need to sell your house fast and at a lesser price than the full retail value, then we at Mrs. Property solutions can make you a fast and fair offer. If you are patient enough to wait a while for the right retail buyer to come your way and you don’t mind paying the 3-6% commission on sale that comes with using real estate agents, then you can go ahead and list your Los Angeles house with a real estate agent. Going with a real estate agent is an awesome idea if you want to get your property across to a cash house buyer. And, it is also possible to sell your house fast for cash this way. But, it all starts with finding the right agent. To be clear, the agent is not the one who buys houses with cash in Los Angeles – but their job is to find you a buyer that can. You can begin the whole process by speaking with like five local Los Angeles agents about assessing your home. They could also show you a couple of similar homes that they recently sold for cash so that you can compare. The agent you finally decide to go with should be able to list your home in as many property websites as possible so that the market reach can be broadened, and also on the local Los Angeles area multiple listing service (MLS). Also, it is necessary that your real estate agent advertises your home in newspapers and other local publications that buyers tend to look at. If you want to hasten the process, you can consider making a deal with the agent and offer them an attractive incentive if they manage to sell your house within a particular time frame. But, this does not mean that you still won’t pay the agent’s commission, so be ready to add that to your overall costs. Research done by experts reveal that in the world we are in now, about 90% of all property searches begin online. And, if you have enough patience to wait for your house to get sold, and also have the time to show potential buyers your house when they come knocking, then selling your house “For Sale by Owner” is what you should go for. Out there, there are numerous web-based real estate agents that you can talk to so they can list your home on their websites, and there are also some agents that will let you buy a listing on the MLS for a fee of between $300 – $500, or more. Also, you have the option of listing your house on online property directories in your area or even websites like Craigslist. Get your home listed and add a few beautiful pictures to attract your potential buyers. 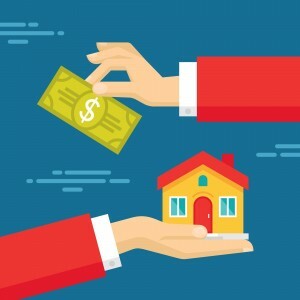 So, you’ve seen the three common options you have when you want to sell your house fast for cash, the next thing is to find out who buys houses with cash in Los Angeles. If you are at this stage, you need to come to the realization that it is very possible to sell your home fast for cash, but it all depends on how fast you need to sell it. If you can wait 3-6 months and have the money to pay the real estate agent’s commission, then you can go ahead and list your house with an agent. But if your budget doesn’t accommodate an agent’s commission, or you can’t wait long enough to sell your house at full retail, then talking with a reputable local real estate buyer like Mrs. Property Solutions may be your best bet. The point is, you have to be fully aware of your options when you want to sell your house cash and also know who buys houses with cash in Los Angeles. Click here to learn more home for cash selling tips. Better still, fill the web form below for a fast fair all cash offer for your home.